One of my favorite aspects in embarking on this 50 Movies Project is finally seeing the films from which well-known lines originated. “I coulda been a contender” has been used and spoofed countless times over the years, but in the context of On the Waterfront, it still remains in a powerful scene — a highlight of an exceptional film. 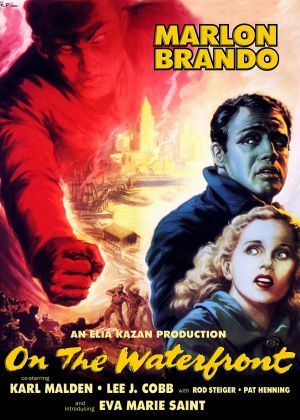 Marlon Brando stars as Terry Malloy, an ex-prizefighter who now works on the docks of New York City. His brother, Charley (Rod Steiger), is a major figurehead in the local mob that also happens to control the dockworkers’ union. The mob boss, Johnny Friendly (Lee J. Cobb), runs the docks with an iron fist, and he is not afraid to “snuff” out anyone who speaks out against him. Moral issues come into play when Terry witnesses the murder of a worker who was set to testify against the mob. Terry was used to coax the worker onto a roof, but he was told they were going to talk it out, not kill the man. Already feeling guilty about the death, Terry is pleaded to help by the murdered man’s sister, Edie (Eva Marie Saint), and the local priest, Father Barry (Karl Malden). As he becomes smitten with Edie and listens to Father Barry’s powerful sermons, Terry is forced to confront his own guilty conscience, something he has suppressed his entire life. Corruption is a major focus of the film, but there is also a poignant love story underneath. Terry Malloy has a tough outer shell, and he may not be the sharpest tool in the shed, but he is an exceptional character with a good heart. Edie realizes there’s more to him than what’s initially seen, and their connection feels real and natural. In fact, the film itself has a very authentic feel to it, partly because it was filmed on-location in Hoboken, NJ. Some of the mob goons used were even ex-prizefighters themselves. Even though this is nearly a 60 year old story, it still holds relevance today. Much has been said of Marlon Brando’s performance in this, and the high praise is well deserved. His moments with Eva Marie Saint are especially brilliant, though it is his scene with Rod Steiger in the back of the limo that everyone remembers (the “contender” line). 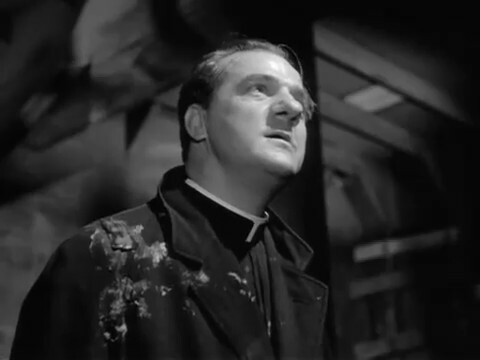 I was also impressed with Karl Malden’s role as the priest, a very important figure in the film. 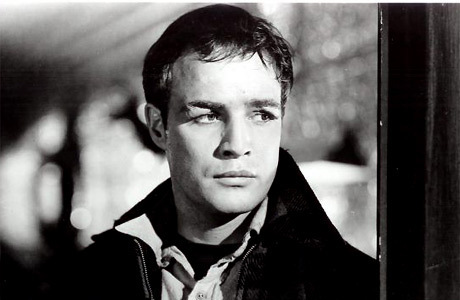 On the Waterfront received an extraordinary twelve Academy Award nominations, winning eight of them (including Best Picture, Best Director and Best Screenplay). Its importance in cinematic history cannot be denied, as evidenced by its appearance in no less than seven American Film Institute lists. Still effective today, On the Waterfront warrants a highest recommendation. Great review, the Contender speech is amazing. 🙂 I love watching you discover these classics man. I get the notification and I’m guessing grades in advance and stuff…. LOL Glad to see you connected with this one. Its a classic I love. I discovered a lot of interesting things when I wrote it up, I found out that Kazan testified before the House Unamerican Committee, and that a lot of people consider this movie a veiled attempt at justifying his actions. 😮 Crazy huh? I read that bit about Kazan, too. Pretty wild. There’s a lot of interesting trivia about this film — apparently Frank Sinatra was signed on to play Terry Malloy, but the studio made a last minute switch to Brando since he was a bigger star. I believe Karl Malden’s character was based on a real-life priest as well. Nice! Come to think of it, I don’t think I have given a single 10 in this year’s project, though quite a few have come close (this included). Oh, and that’s not the most interesting Sinatra casting rumor I’ve ever heard. LOL. In Mark’s tuesday trivia columns once, he had a blurb that said Sinatra was considered for Dirty Harry. LOL Can you imagine?? I’ve got one better for you regarding ‘Dirty Harry’. John Wayne was also offered the role and turned it down, because the Duke didn’t hold with the idea of the hero back shooting a bad guy. Yet, Wayne played ‘McQ’ in 1974. A somewhat similar character, who used an Ingram Mac-10 in a final shootout. Interesting trivia! Makes me wonder if Wayne regretted turning down the role if he ended up playing a similar character anyway, years later. Obviously I think this film is amazing, hence my blog name 🙂 Brando is out of this world in this film. The scene with Eva Marie Saint in the park where he picks up the glove she drops is just brilliant. Haha yeah, I used to wonder where you got your blog name from. Now it all makes sense. 🙂 And yeah, it doesn’t get much better than Brando in this. Wow. Ah, bummer to hear it was ruined for you. I’m somewhat ashamed that it took me so long to see this, but I’m glad I finally did. This is on my must-see list, hoping to see this soon. Glad to see such a high rating from you, Eric. It has definitely earned its classic status. Highly recommended! Great review, Eric. This is still on my watchlist, but I’m encouraged to see it get such a high score from you. Cheers, Morgan, and thanks for the pingback! Hope you get to see it soon. Great review man, I am so jealous of the effort and time you put into your project!! Thanks Scott, just eight left! Excellent review of an ageless classic! One that introduced several elements of what would later be called ‘French New Wave’ several years ahead of time. Also memorable for its superb shadow work along and around alley ways during its big chase scene. It’s always been a toss up for me as to who was the bigger louse. Lee J. Cobb’s Johnny Friendly, or Rod Steiger’s Charley? Lee J. Cobb had the voice and the build and the bluster. Which he used to intimidate those around him. To make a buck and a profit at the docks. To pay off his workers and keep something extra for himself. While Steiger seemed visibly oily and sweaty. Constantly dressing above his station, yet always appearing to be an uncultured slob underneath all his finery. With only Brando’s Terry to rail at. A trait seen in many of his films. especially ‘Al Capone’ from 1959. Something shared with another great character, Eli Wallach. Exactly! You know, I don’t think I have ever seen Steiger in anything else. I may have to give Capone a shot. Thanks for the tip on that one, Jack. I’m usually put off by loud-mouthed gangsters, but On The Waterfront struck a chord with me due to the characters. “I coulda been a contender” is indeed a powerful moment. My 2nd favorite scene is early in the movie when Brando is talking to the girl, he sits on the swing, and puts on her glove. I agree that it holds up well today. That’s a great scene as well. It’s been a lot of fun seeing Brando in some of his earlier roles, especially since I only really knew him as Don Corleone and Colonel Kurtz. He was unbelievable in this film.